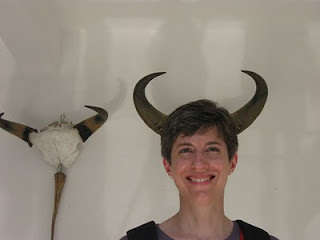 This will be my last travelogue post from Vietnam and Cambodia. If you want to see all 800 pictures, come on over sometime. Bring your Visine. 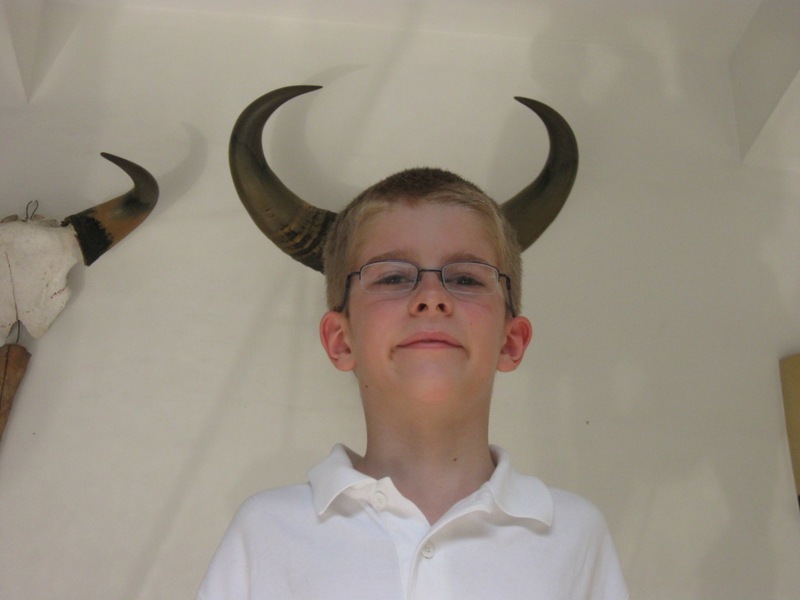 We celebrated nephew Colin's birthday together. 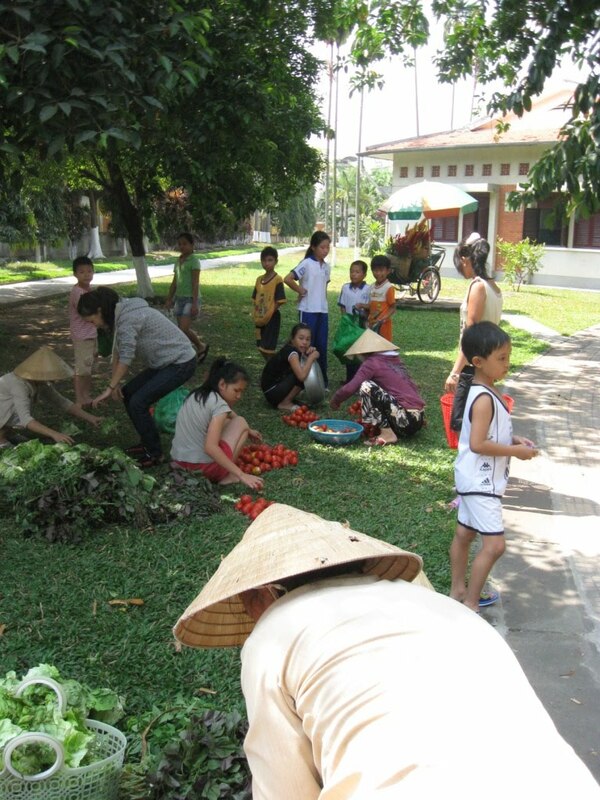 It was Sunday morning in Saigon/Ho Chi Minh City. 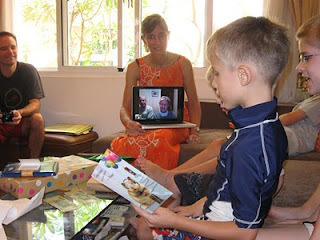 Colin's grandparents joined us via skype; it was Sunday evening in Pittsburgh. On Monday morning, we watched the Super Bowl. Kickoff at 6:30 am makes for a memorable Super Bowl experience. 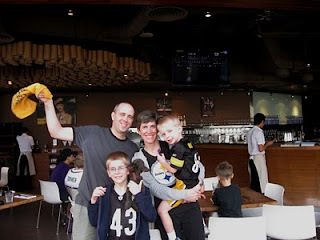 We watched at Boomerang, and Australian sports bar nice enough to show the game for the Americans. There was one woman in a Packers jersey, but the rest of the spectators lacked a strong rooting interest. They were mostly expats enjoying the American-ness of it. 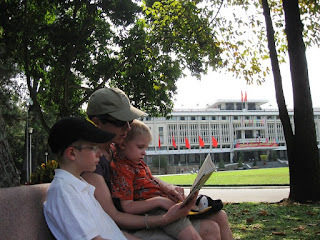 Paige dutifully read the guidebook entry on the reunification palace, and the boys dutifully listened. 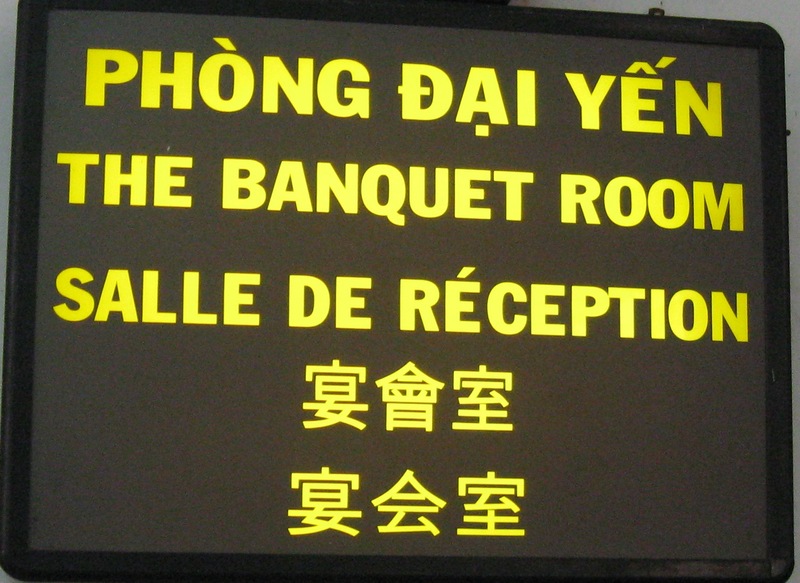 Signs curating the rooms and spaces in the Palace featured four languages and a very 1978 aesthetic. Teddy will happily tell you that this is "Uncle Ho with no arms". 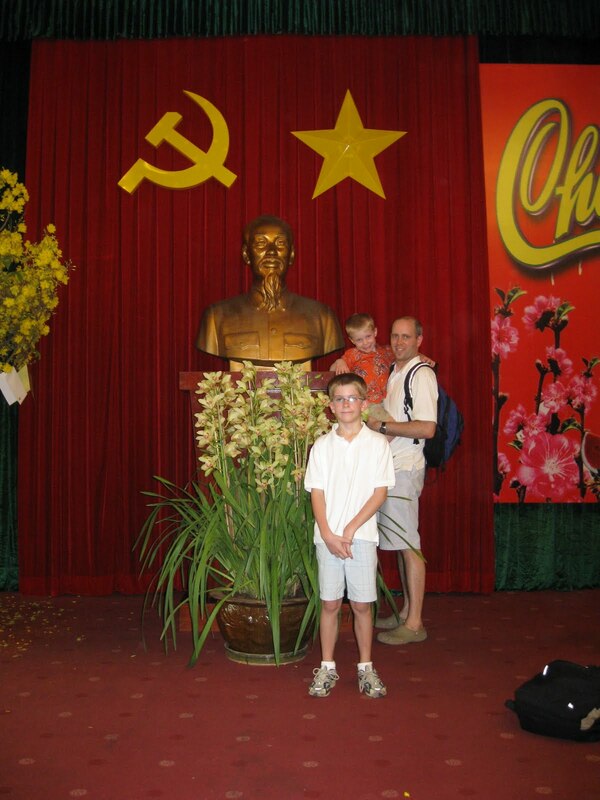 Most every tourist group gathers for a picture with the bust of Ho Chi Minh in one of the principal rooms of the palace. 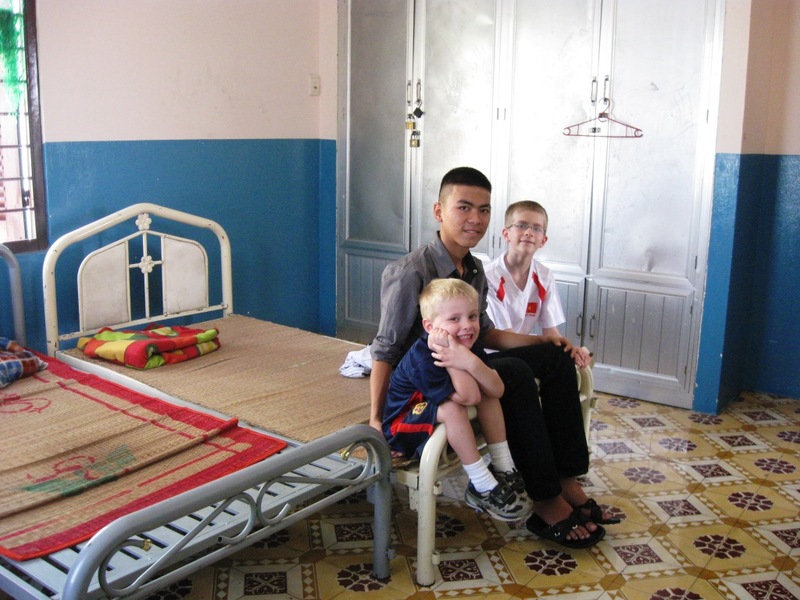 When Lauren and Mike decided they would teach in Vietnam, we started sponsoring a child through SOS Children's Villages. Founded in Austria, SOS houses orphans or children from families that can't care for them in houses arranged in a little village. 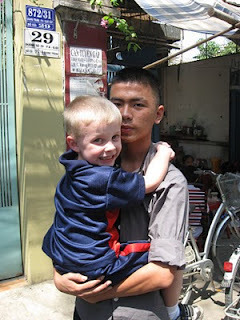 Each house has children of different ages, and a house mother oversees a small psuedo-family. When we arrived, they had just gone to the market, and house mothers and children were sorting and distributing produce among the houses. 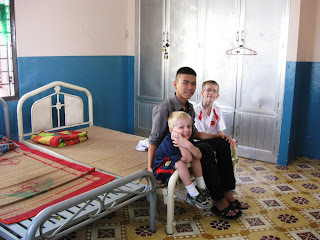 Our sponsor child's name is Son Thanh Nguyen. He's 16. When boys hit 14 years of age, they leave the village proper for a a youth home. Girls stay in the village houses with the younger children. Son's room is very spare, as you can see, but it's clean, and the boys seemed pretty happy there. The courtyard at the youth home, with several of the boys and some of the staff. 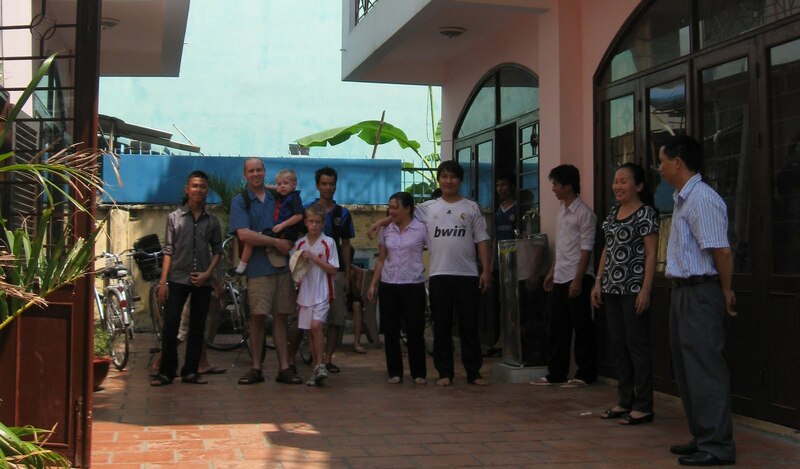 We went for a drink at a neighborhood cafe (in the front veranda of the proprietors' home). After Paige scooped Teddy up to carry him, a staffer from the youth home pointed to Son and said he should carry Teddy. Ted was thrilled, as you can see. 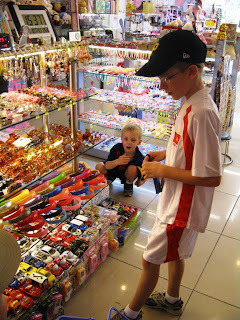 At the "big Citimart", checking out the toys and other fun things on our last day in Vietnam. Citimart slots somewhere between a garden variety grocery store and a Target. Of course, it carries its own special Vietnamese zest and wackiness. 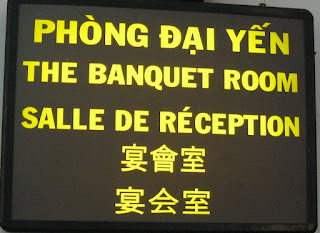 Finally, a little bit of Chinglish (Vietnamenglish just lacks a certain ring) for your enjoyment. 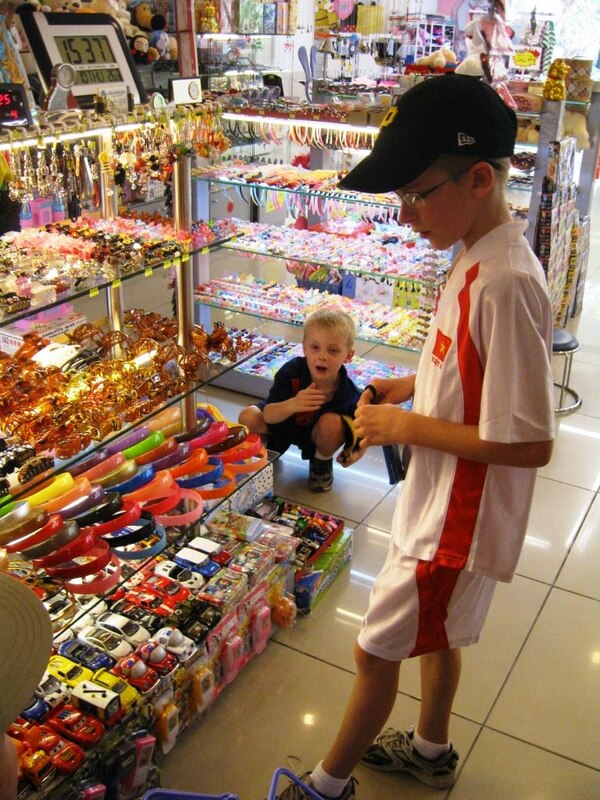 The picture above and the next several were all taken in the toy department at Citimart. 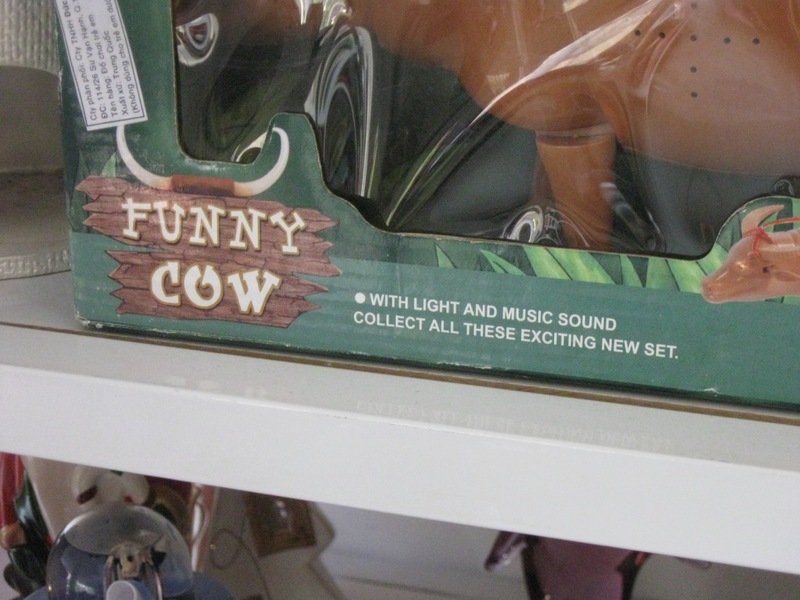 A toy cow, part of "these exciting new set". 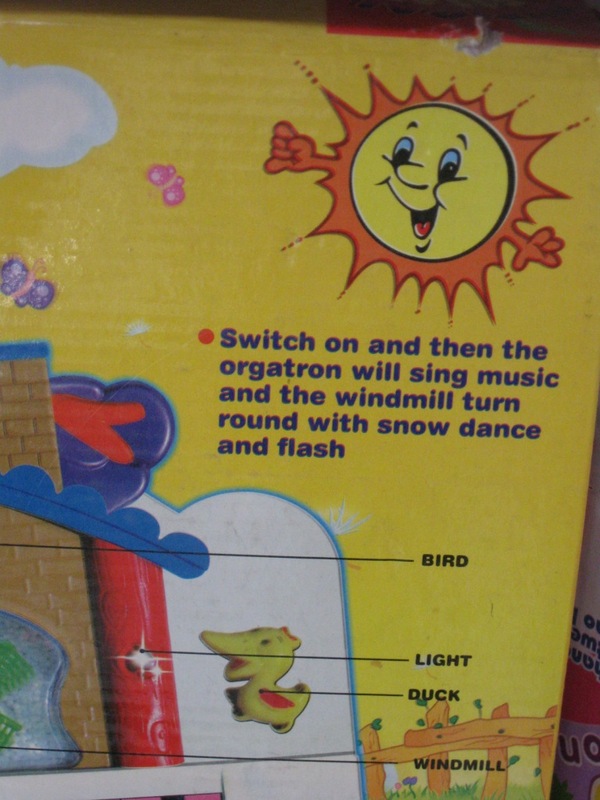 "Snow dance and flash" sounds a little bit risque. 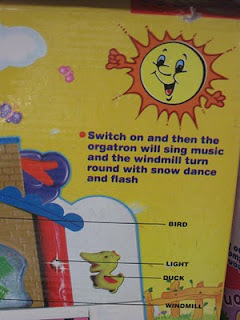 But what would you expect from the orgatron? Finally, this collection box was near our gate in the Hanoi airport on our way home. 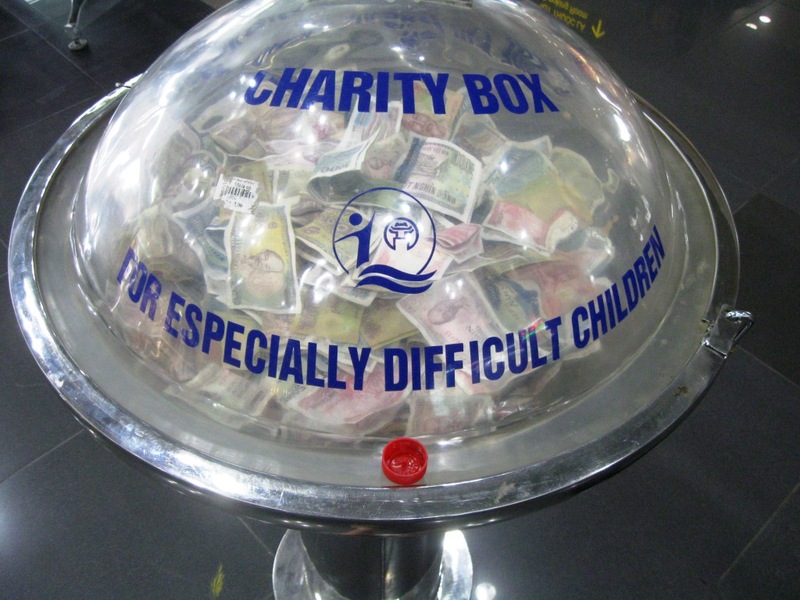 Facing 20 more hours of flights, we wondered if we could make a withdrawal from the Charity Box for Especially Difficult Children. They boys did ok, though, aided by our upgrade to "Economy Plus", which doesn't sound as good as "Business Class". We had seven seats for the four of us, which we divided as follows: Charlie, 2, across the aisle from the rest of us with a long fantasy novel; Paige 1, on the aisle; Jeff 1, on the other aisle; Teddy, 3, between Jeff and Paige. Mercifully, he used his excessive resources to sleep for around nine of the 13 hours on the Beijing-Chicago flight. Not especially difficult after all! We'll savor the memories of this trip. We feel very fortunate to have had this experience as a family. Wonderful. It's fun to read more about what you did while we were at school. 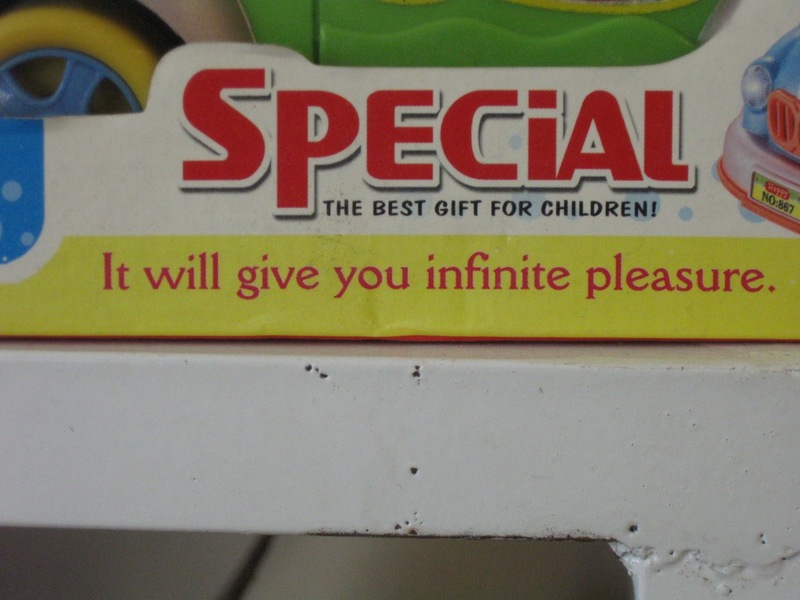 Love your perspective on the translations. 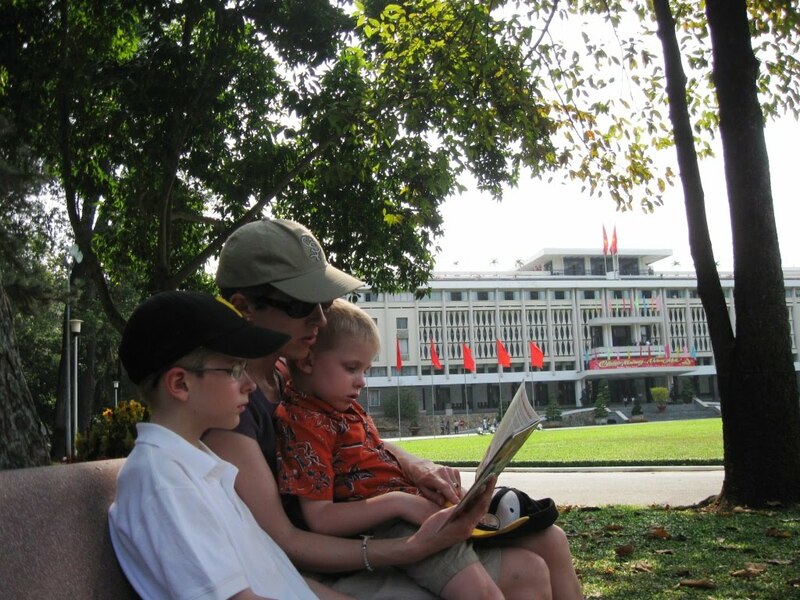 We're so grateful to have shared that holiday and the Vietnam experience with you four. Is having kids worth it?